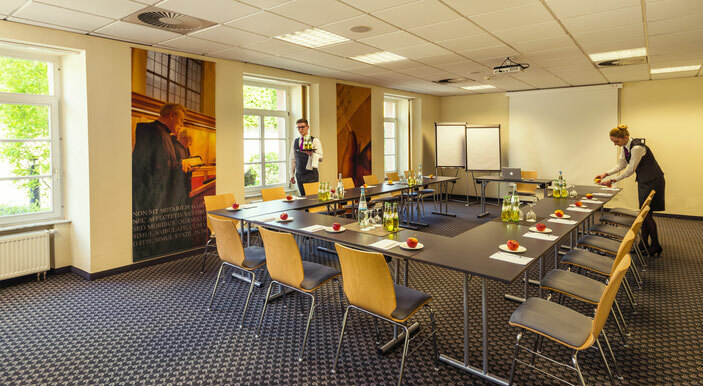 Our meeting rooms all have natural light, blackout possibility and free WiFi access. To ensure the success of your event, we have equipped the rooms with a projector, screen, 2 Metaplan boards and 2 flipcharts. Seminar house, 2 minutes walk from the main building, exclusive rental, built on two floors in an open gallery style.